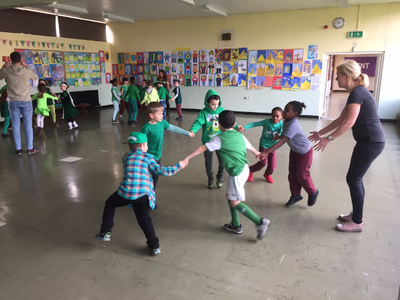 During Active Schools week, one of the activities we took part in was having Skipping John visit us and teach us how to skip properly using the correct skipping technique! 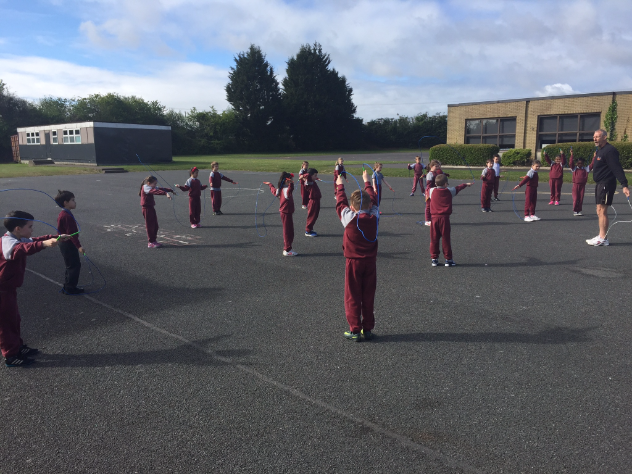 Practice makes perfect!! 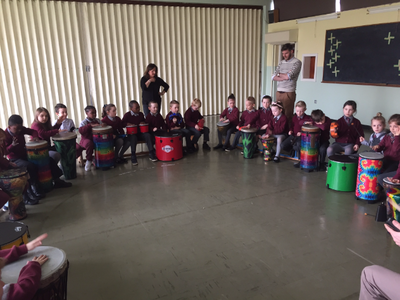 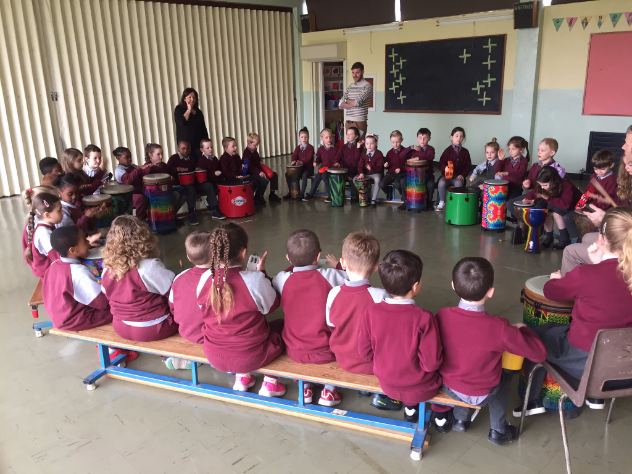 We had a fantastic time at a drumming workshop which we did as part of intercultural week. We had the opportunity to try out composing different rhythms with various different percussion instruments. 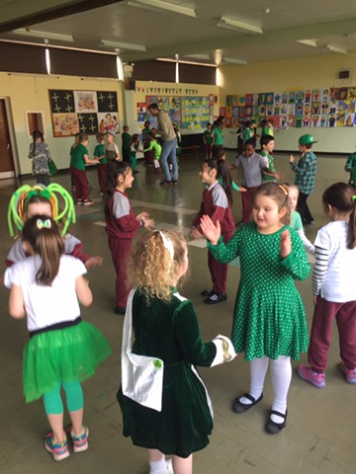 ​For part of Seachtain na Gaeilge, we took part in a ceili and learned some Irish dances. 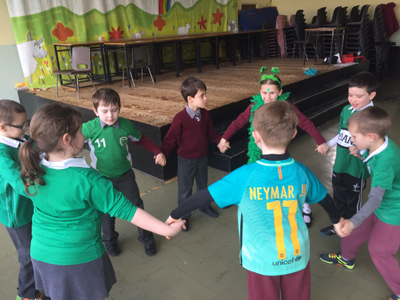 We also performed our favourite Gaeilge song for assembly and tried our best to speak Gaeilge for the two weeks! 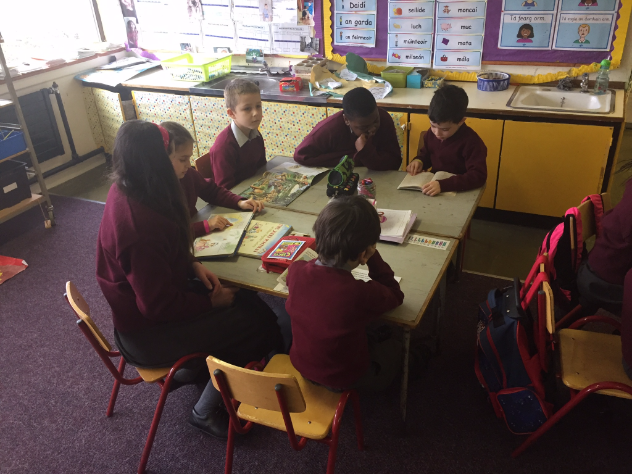 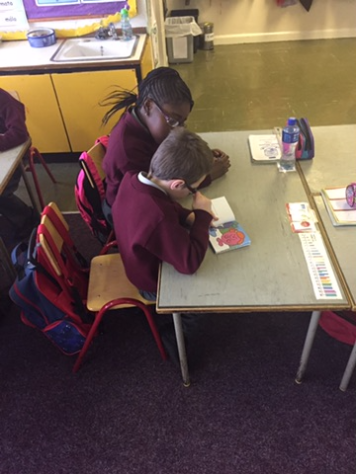 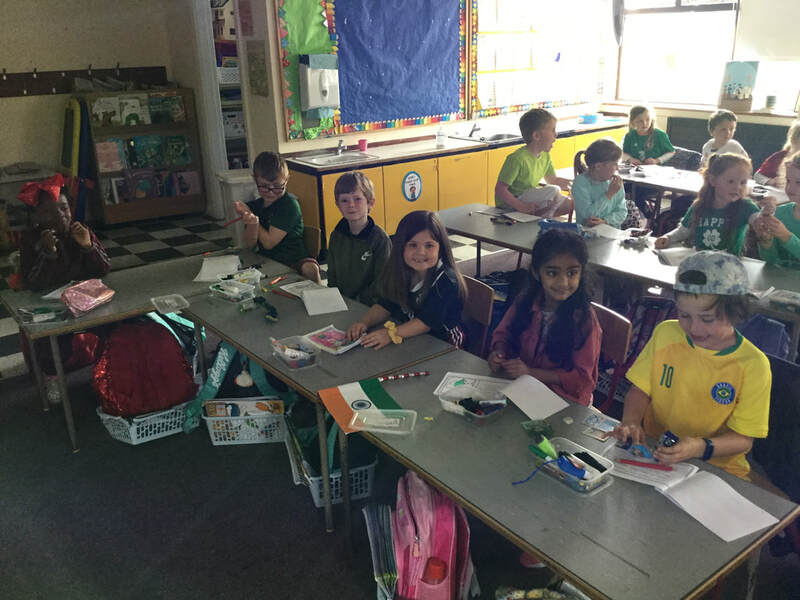 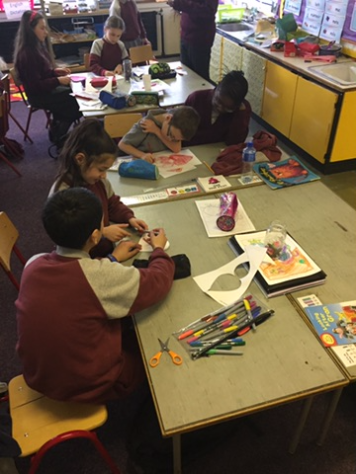 Big thanks to Ms. O'Driscoll's fifth class who we were paired with for friendship week. 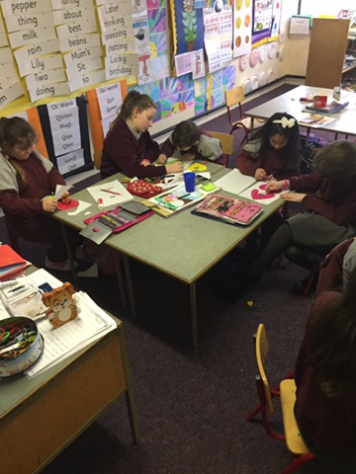 They came down to help us with our reading, our Valentine's day art and played with us in the yard for the whole week! Thanks to everyone who came out to see our Christmas Play, "Santa's on Strike". 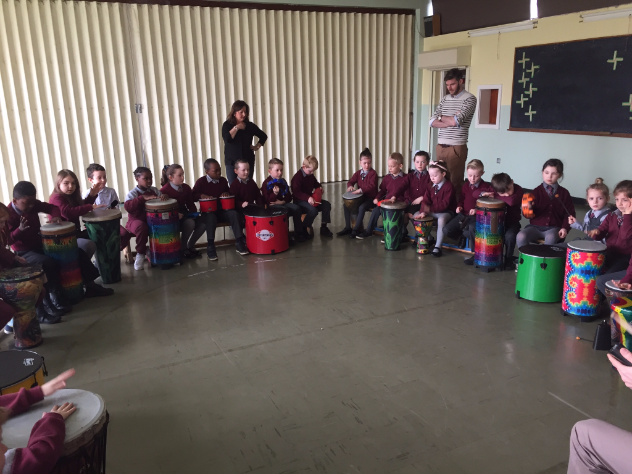 Happy Christmas everyone and a Happy New Year!!! 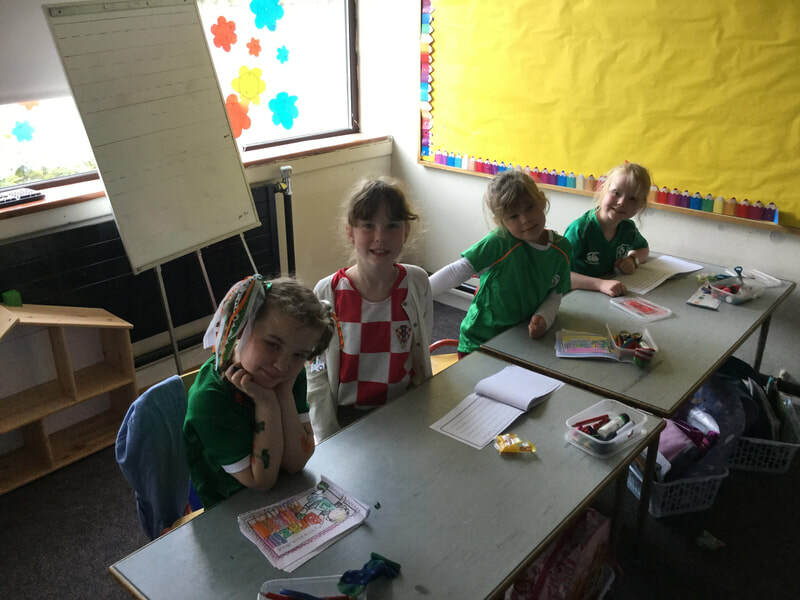 ​Some amazing Halloween costumes on show today in class! 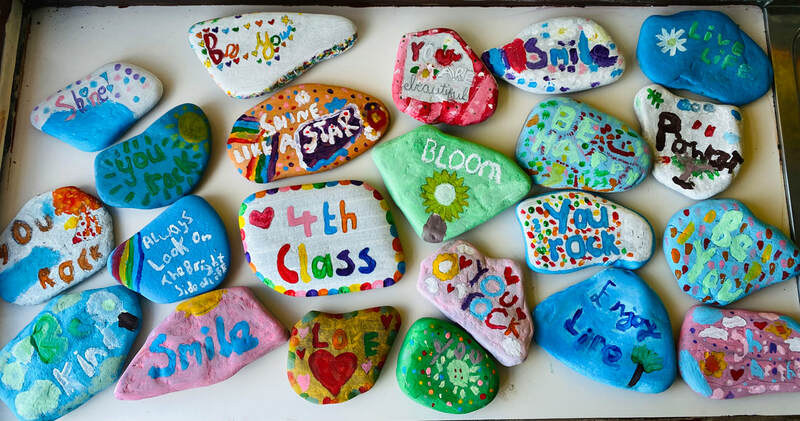 Can you spot yourself? 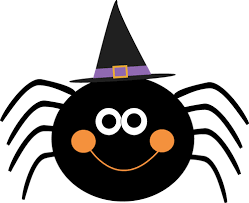 Bhíomar an-ghnóthach i rith na seachtaine, ag foghlaim faoi Oíche Shamhna agus ag dearadh na haghaidheanna fidil seo go léir! 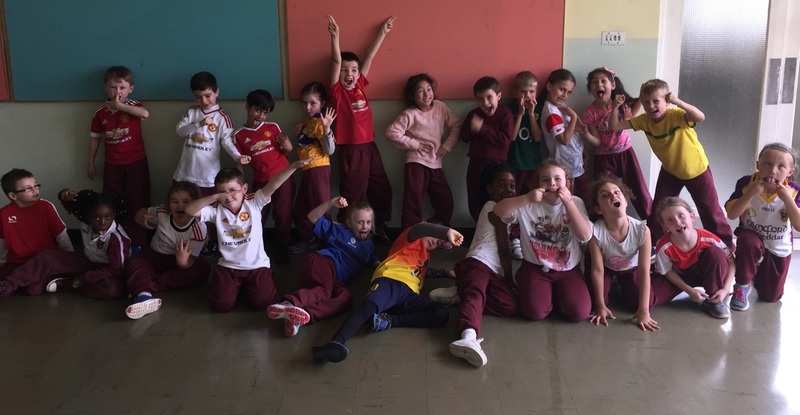 ​Striking a pose on Jersey Day! 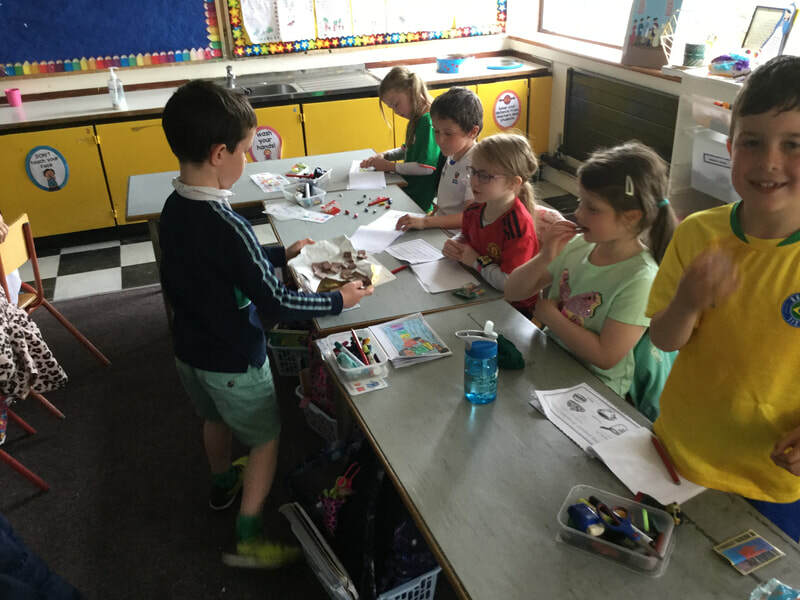 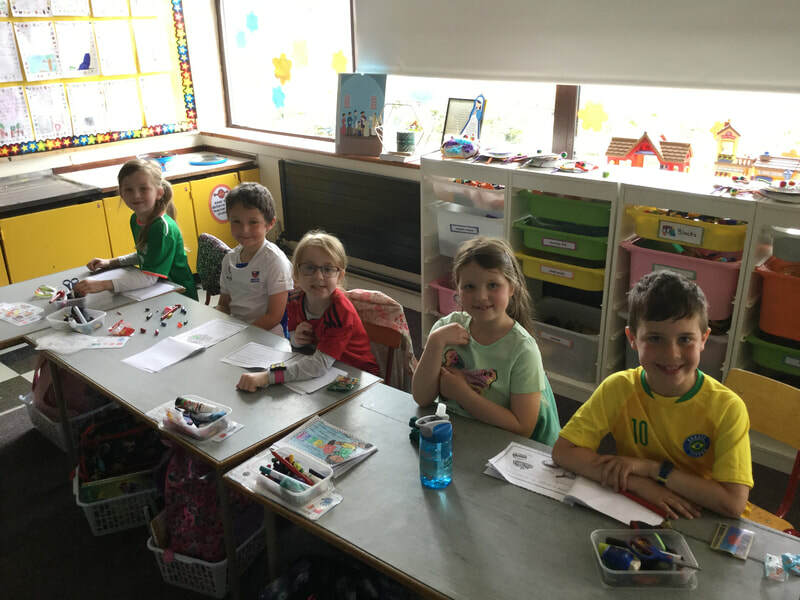 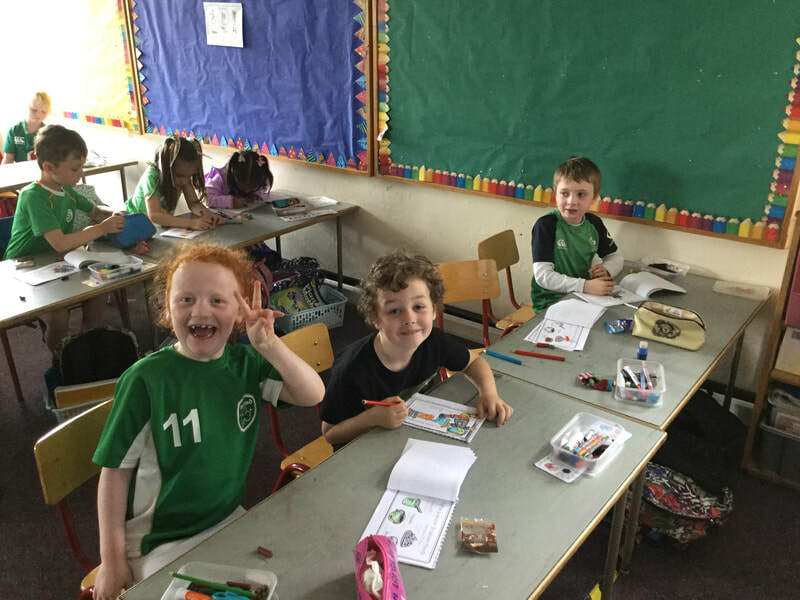 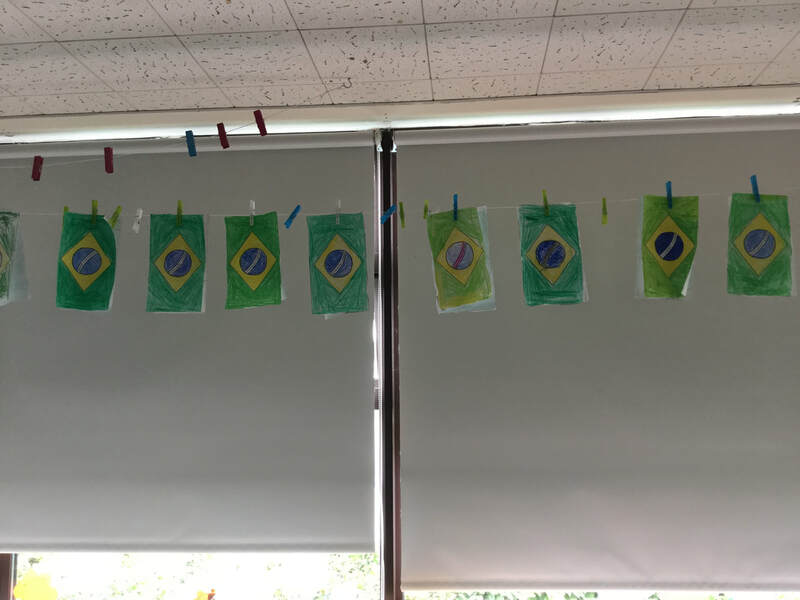 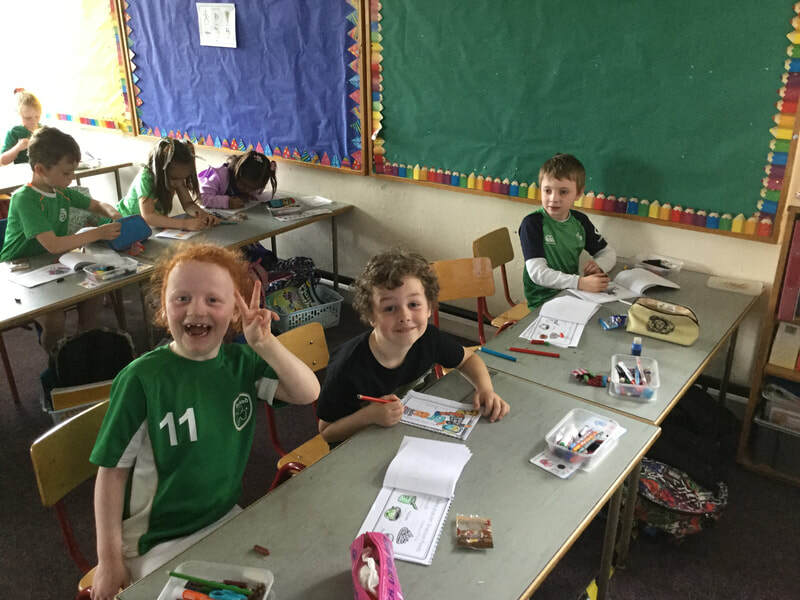 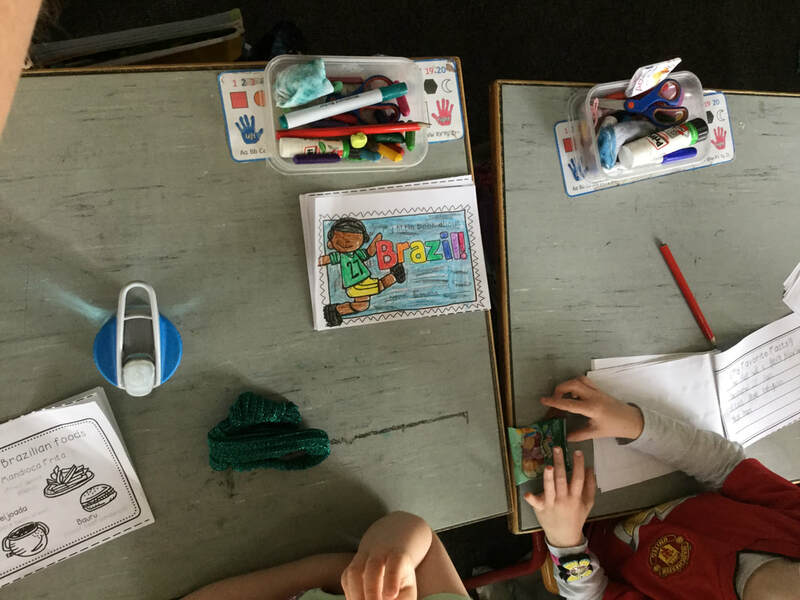 This year, there were loads of countries, counties and clubs represented in our class, such as Brazil, Ireland, Poland, Clare, Tipperary, Kilkenny, Manchester United, Liverpool, Barcelona, Arsenal. 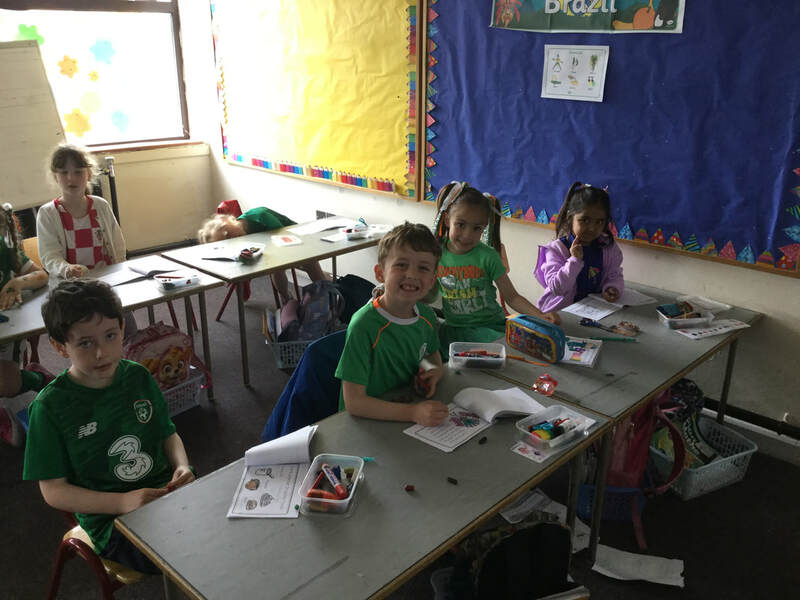 The school raised a lot of money for great cause!